According to the National Cancer Institute, heavy or regular alcohol consumption increases the risk of developing esophageal cancer, particularly esophageal squamous cell carcinoma, along with a number of other cancers. The risk of developing cancer increases with the amount of alcohol a person drinks. While for many, a glass of red wine triggers heartburn and other effects of acid reflux disease, a new study claims that a chemical found in red wine might help reduce the risk of cancers. 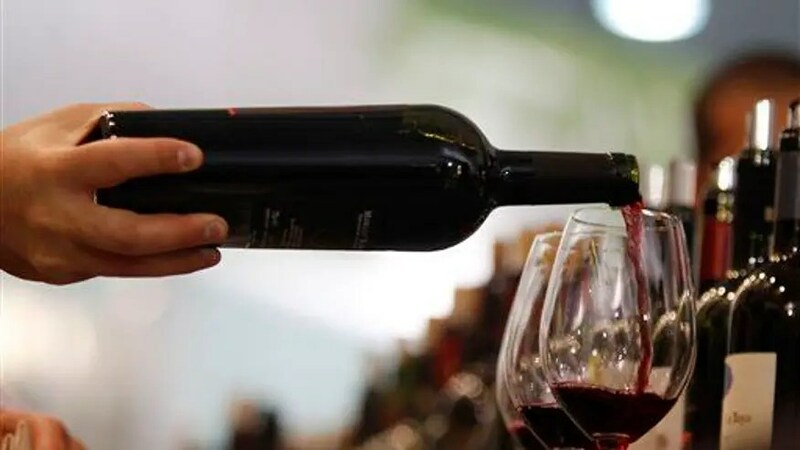 Overindulgence of alcohol in general may raise your risk of cancer, but a University of Colorado team explains how red wine in particular could fend that cancer off. A study published in Advances in Experimental Medicine and Biology says that although alcohol has been linked as a risk factor for head and neck cancer, resveratrol—a chemical found in red wine and grape skins—may be able to fix cell damage caused by other [alcohol], says a release at Eureka Alert. “Alcohol bombards your genes,” says study co-author Robert Sclafani. The body can repair some of the damage, but not all, and that’s where resveratrol comes into play. “Cells with unrepaired DNA damage are killed [by resveratrol], so they can’t go on to cause cancer.” The mice in this experiment had cancer tumors, but when Sclafani and his group pumped the chemical compounds found in red wine into the rodents’ bodies, their tumors decreased in size and the growth of new ones was prevented, Yahoo Health reports; similar results occurred when using grape seed extract (red wine has both). Of course, that doesn’t mean you should go on a pinot noir bender: Sclafani says that “moderation is key” and that you can also find resveratrol in nonalcoholic items such as peanuts. Still, these findings could lead to nontoxic options in cancer treatment down the road. “Being able to counteract the pre-cancerous cells with a mild medicine would be a great alternative in treating … high-risk patients,” Sclafani tells Yahoo. This entry was posted on Tuesday, December 9th, 2014 at 11:26 am and is filed under The Salgi Foundation - Esophageal Cancer Awareness, Early Detection & Research. You can follow any responses to this entry through the RSS 2.0 feed. Responses are currently closed, but you can trackback from your own site.